Cancer Research’s unmitigated purpose is to end cancer. The new identity highlights the insight that ending cancer will effectively end Cancer Research. Bold statements call out the end of cancer and the organisation in contextually relevant ways. 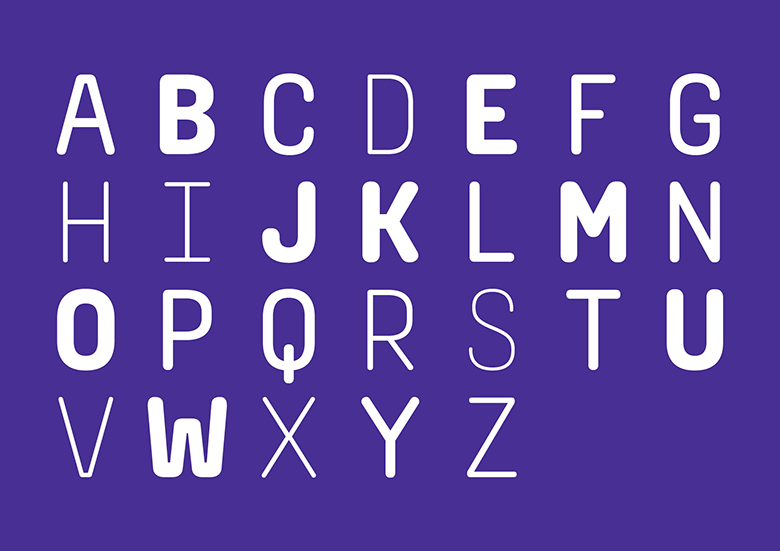 A custom typeface was developed by Mathieu Reguer to reflect Cancer Research’s progress towards its goal. Characters of varying weights represent how some cancers are close to disappearing, while others remain all too visible. By confronting a serious subject matter with a positive and achievable vision, the identity gives people an incredibly compelling reason to donate: That every dollar raised gets us closer to a world without cancer.